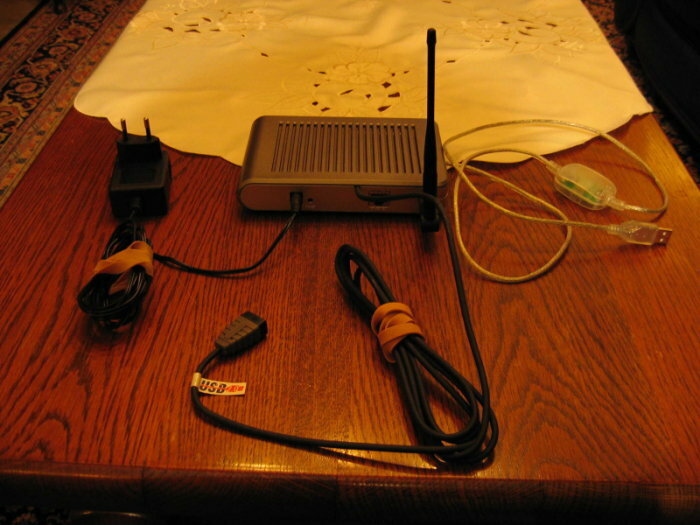 This article describes how you can successfully solder an USB cable on your WL320gE router, install and configure the required packages, and finally mount it under OpenWRT. It allows you to turn your router into a light weight NAS, or whatever purpose you have in mind. A sweet thing is that the WL320gE already has a USB host controller onboard. 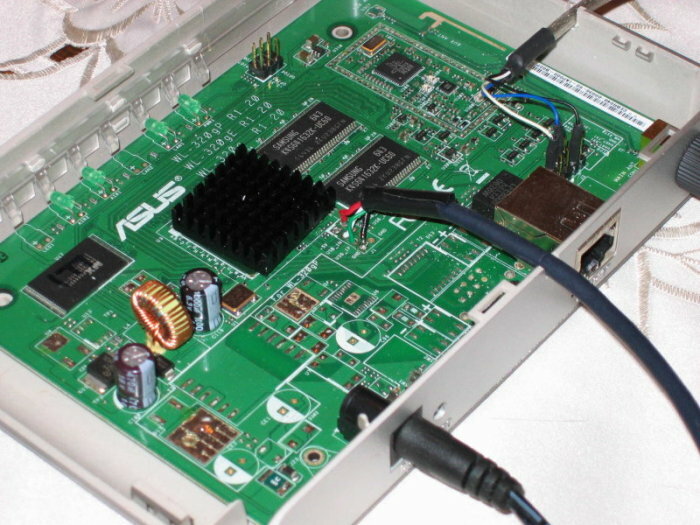 WARNING: Before you open your router and happily start soldering, flashing and who knows what, please realize that your warranty will be void. The first step is easy - open your router. There are two tiny screws on the bottom, remove them, so you can pull it open at the top. 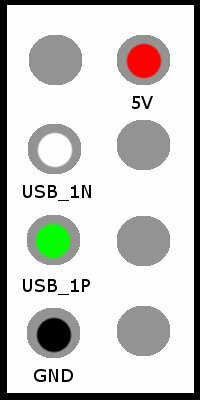 Note: It appears that we'll have to use the right 5V hole, as the left one doesn't supply any voltage at all. Most probably, as a 2-heads USB connector was originally meant to be placed there. When you've soldered all wires correctly (use a voltage meter to verify), we need to put the case back on. I've made a small hole on the side for the USB cable. If you see the above messages or similar, congratulations, it works! Thanks to my dad for helping me with soldering! For teaching me about serial UARTS on embedded Linux routers and for donating some routers to the HULK.